Founded by Mr. 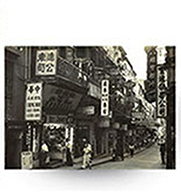 Lo Min-nung in 1934, Man Hing Hong Group, with its over 80-year history in Hong Kong, is a well-established group specializing in property development, investment, property management, marketing and leasing of many kinds of properties. 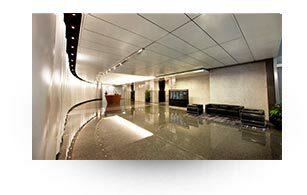 The Group develops, owns and manages a diversified portfolio of retail properties, offices, serviced apartments and car parks, which are all strategically located in major business districts on Hong Kong Island. Leveraging on our extensive experience and expertise, we make continuous efforts towards elevating the standard of our services to tenants and the quality of our portfolio. 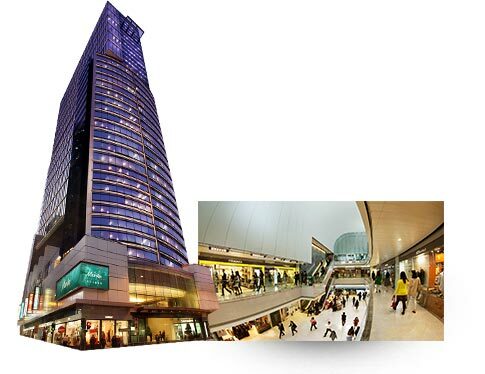 In the years ahead, numerous exciting renovation and redevelopment projects are in the pipeline. 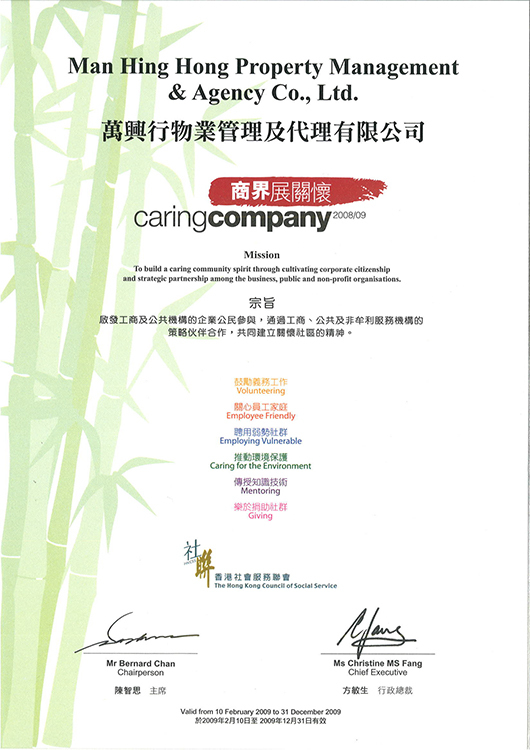 Mr.Lo Min-nung, the founder of Man Hing Hong,was appointed British American Tobacco's sole distributor in Hong Kong. 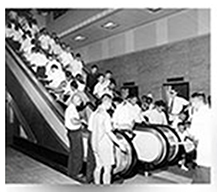 With the assistance of his two sons and son-in-law, the business prospered. 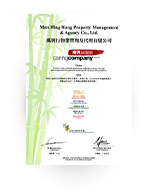 Mr.Lo Ming-nung founded Man Hing Hong to invest in the Hong Kong real estate market. 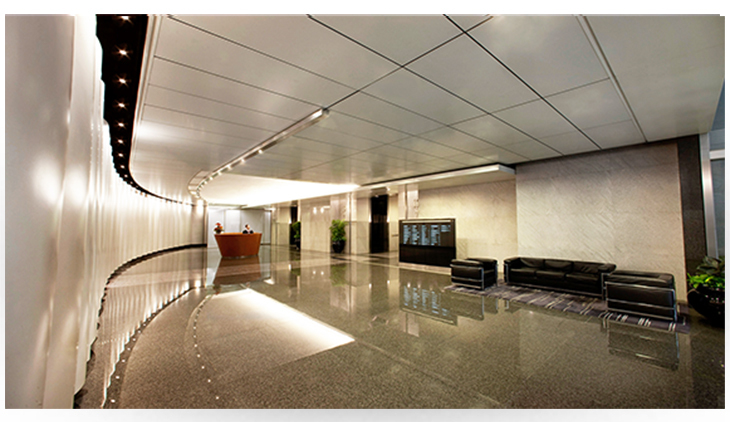 Ever since the company has actively invested in and developed commercial and residential properties. 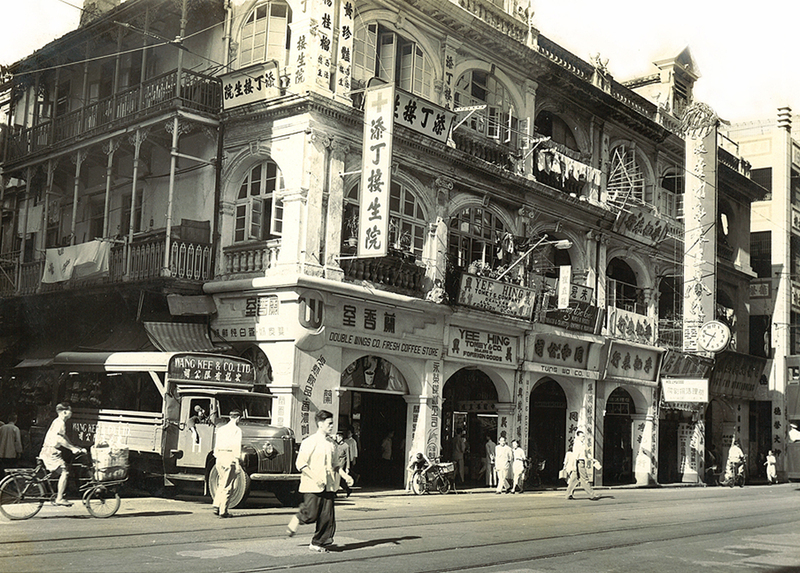 Man Hing Hong purchased its first plot of land. 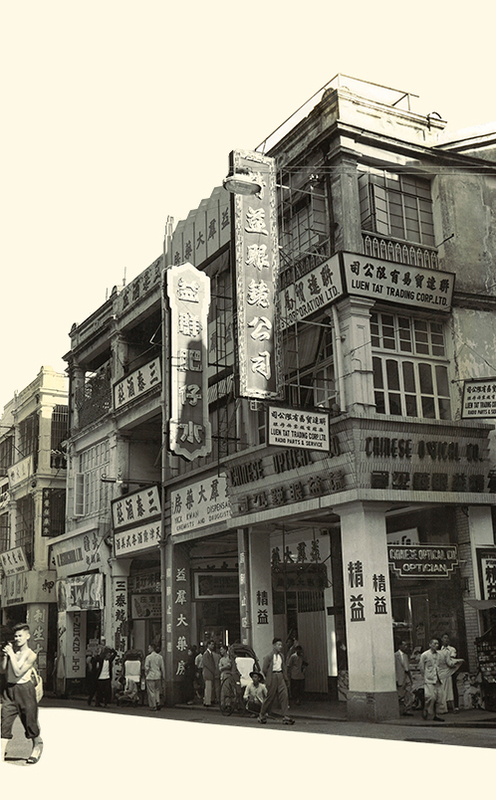 Located in the hub of Hong Kong's Central District, the Group later built Man Yee Building on this site. 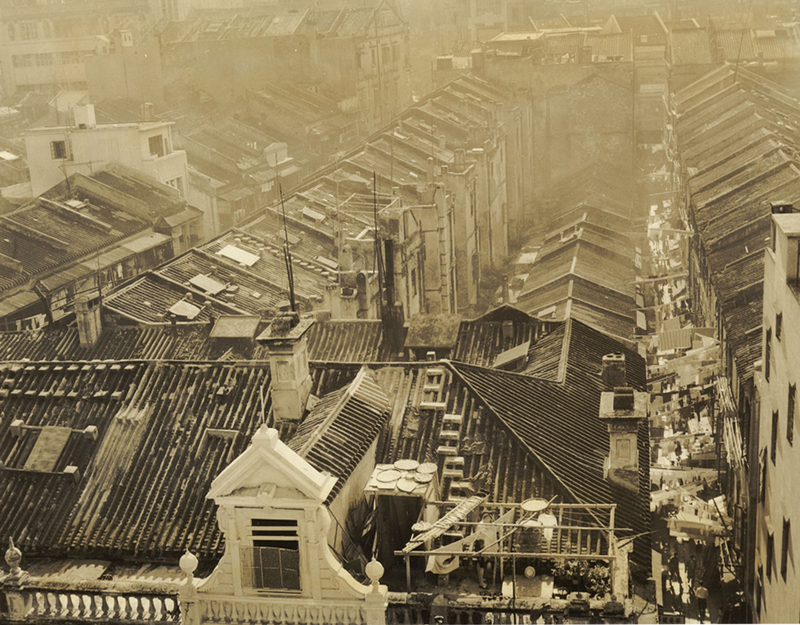 Construction of Man Yee Building was completed. 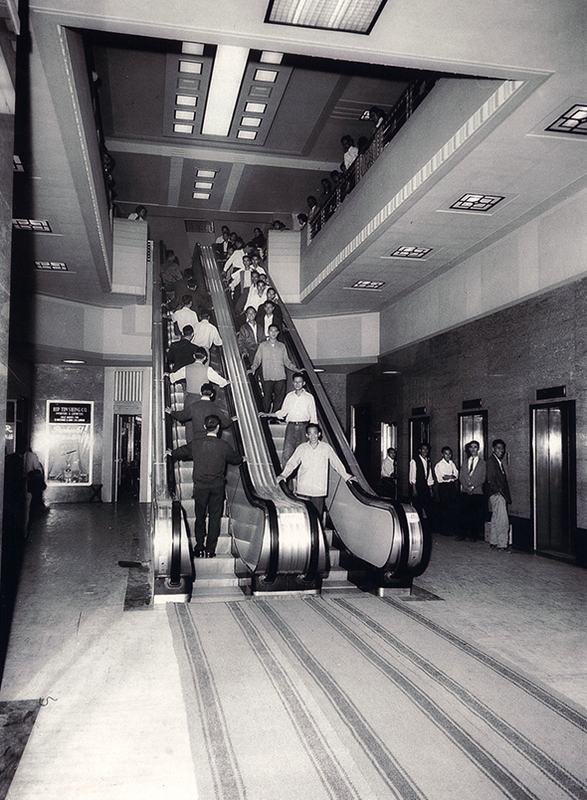 Man Hing Hong's first commercial development and the first Hong Kong commercial building equipped with escalators. 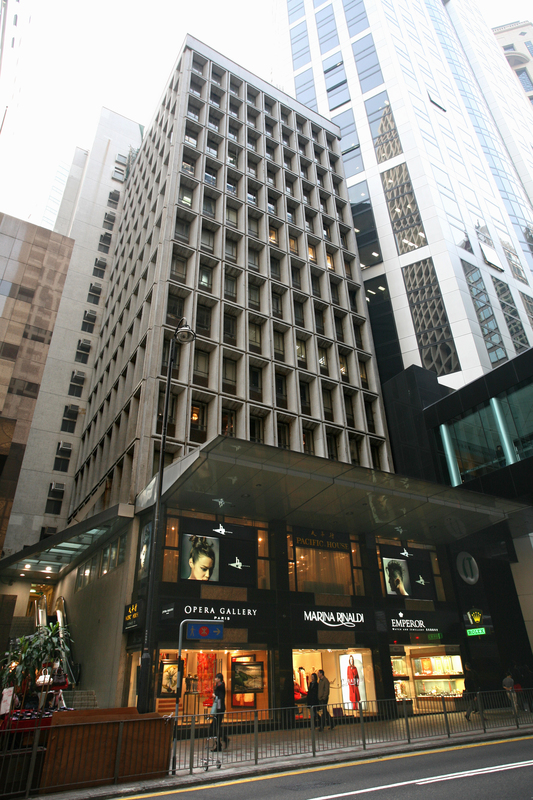 Pacific House, Man Hing Hong's second commercial building in core Central, located at 20 Queen's Road, was completed. 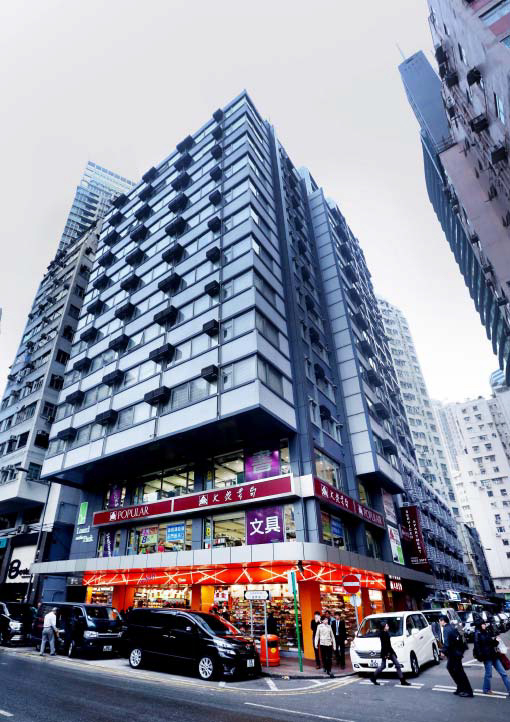 The leasing campaign for the Group’s first residential building, Tsai On Building on Hennessy Road in Wanchai, was launched. 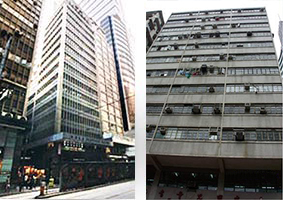 Completion of Tsai Hong Building in Wanchai, Man Hing Hong’s second residential building and Prosperous Building in Central, the company’s third commercial building. 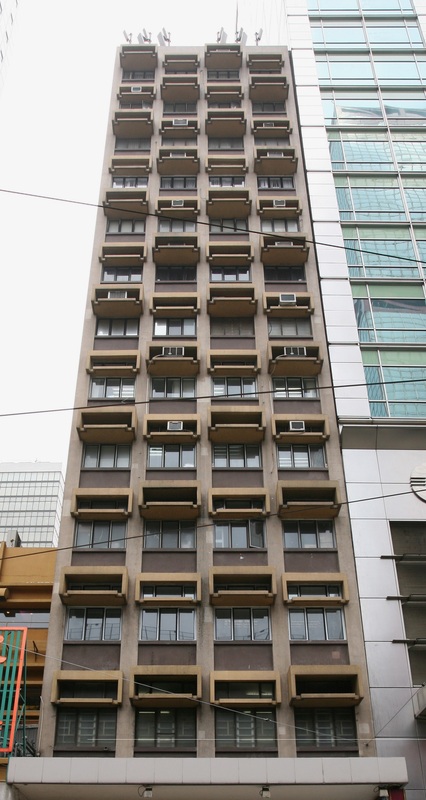 91 Des Voeux Road West in Hong Kong’s Western District, Man Hing Hong’s third residential building, was completed. Leasing campaign for Man Hing Hong’s fourth commercial building, Parker House in Central, was launched. 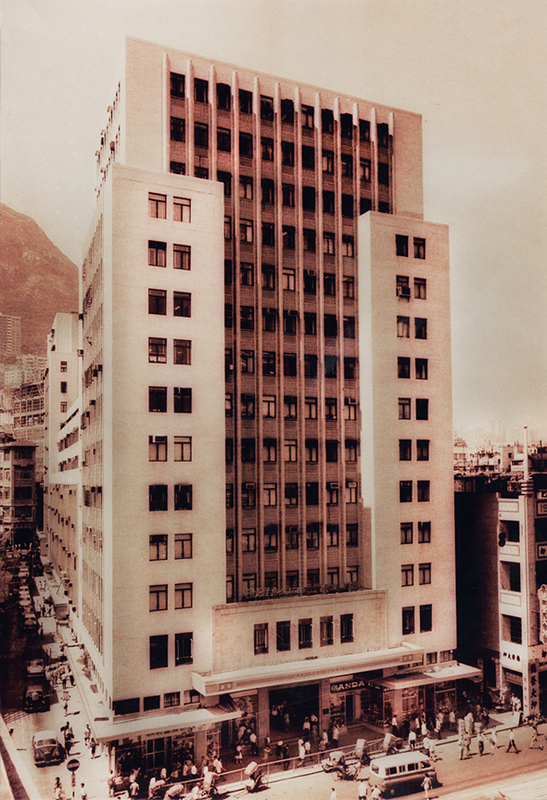 Dawning House on Connaught Road in Sheung Wan, Man Hing Hong’s fifth commercial building, was completed. 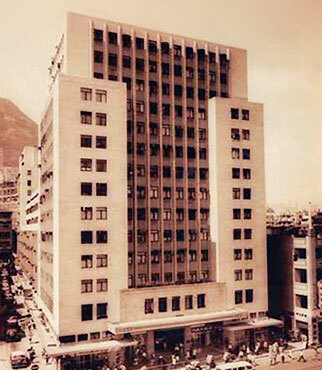 Redevelopment of Man Yee Building to a Grade-A office tower, with shopping arcade and three-basement car park, was accomplished. 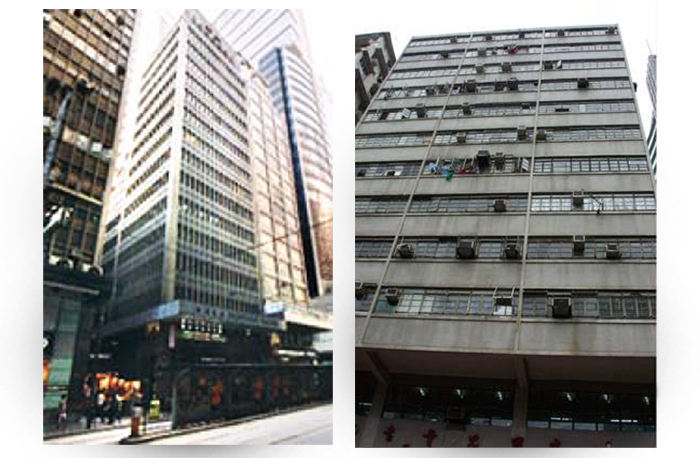 Man Hing Hong’s head office moved into the top floor of Man Yee Building to consolidate the Group’s management under one roof. 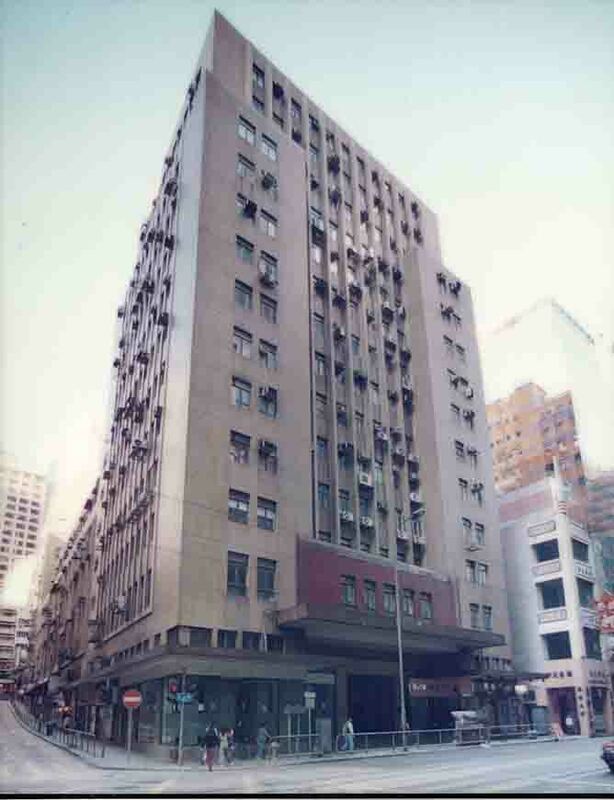 Harmony Mansion, renamed from Tsai On Building after renovation with some units converted into serviced apartments. 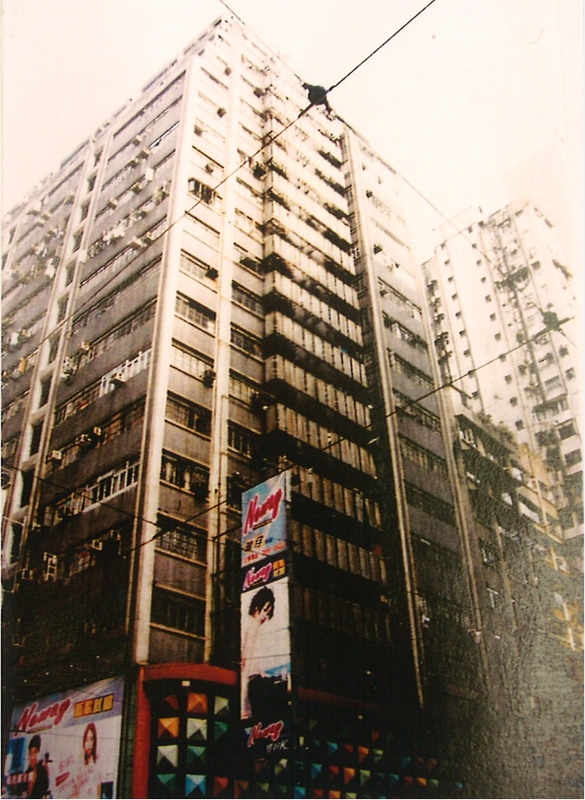 This marked the beginning of the Group’s serviced apartment business. 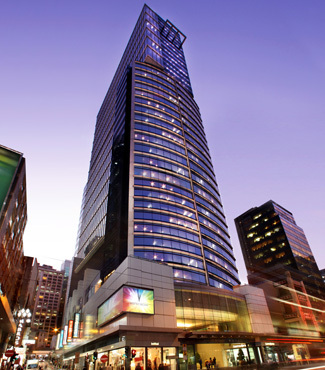 Man Hing Hong’s second serviced apartment building, Luard on the Park was launched after renovation of Tsai Hong Building in Wanchai. 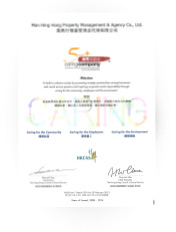 First year the Caring Company Logo was awarded by The Hong Kong Council of Social Service. 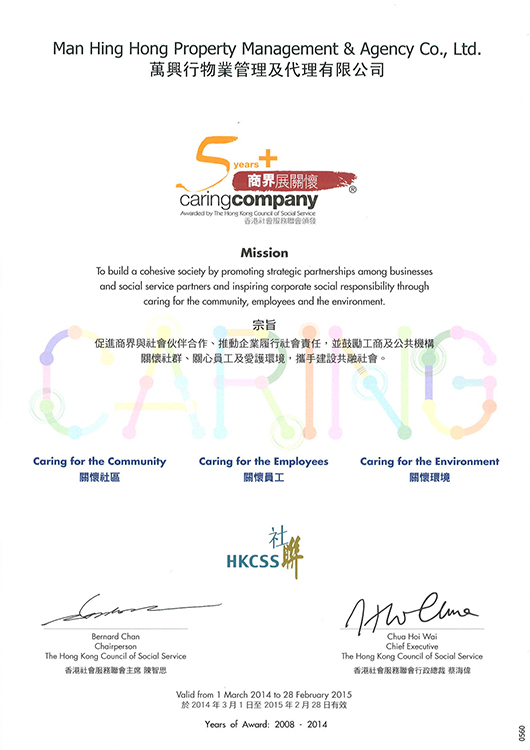 With continuous achievements in the Caring Company scheme, 5 Years Plus Caring Company logo was awarded to Man Hing Hong on March 2014. The renovation works of Harmony Mansion were accomplished. 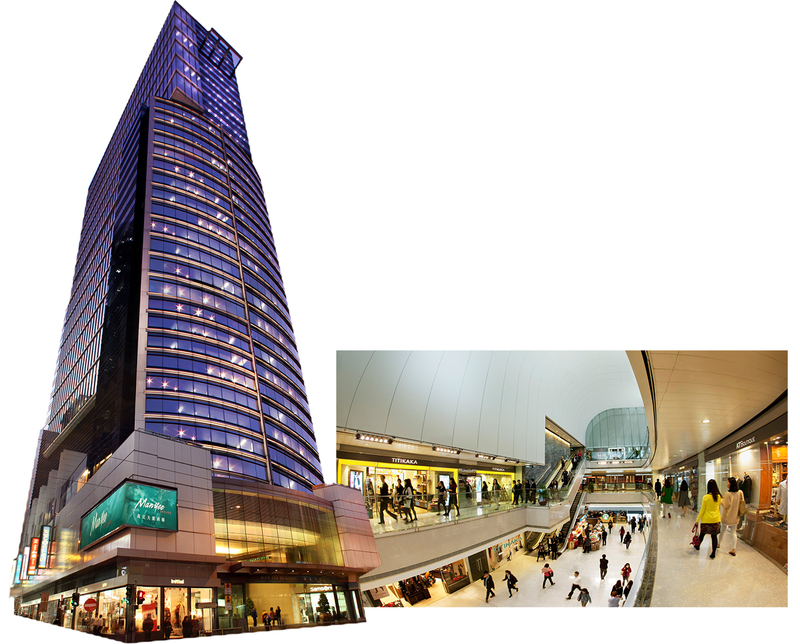 It has been converted into a block of top quality serviced apartments ‐ Loplus@Hennessy, with over 200 fully furnished suites standing on a 3‐level trendy shopping arcade – Mall Plus. Luard on the Park became the second member of our new brand of serviced apartments — Loplus, and was renamed as Loplus@Johnston. 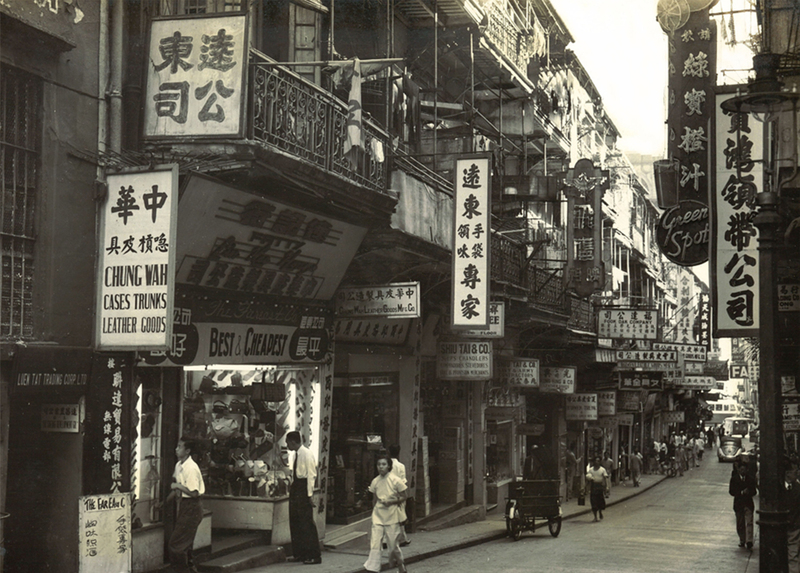 Mr.Lo Min-nung,the founder of Man Hing Hong,was appointed British American Tobacco's sole distributor in Hong Kong. With the assistance of his two sons and son-in-law,the business prospered. 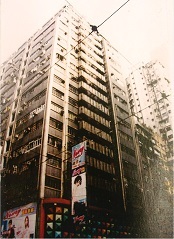 Man Hing Hong purchased its first plot of land.hub of Hong Kong's Central District,the Group Yee Building on this site. 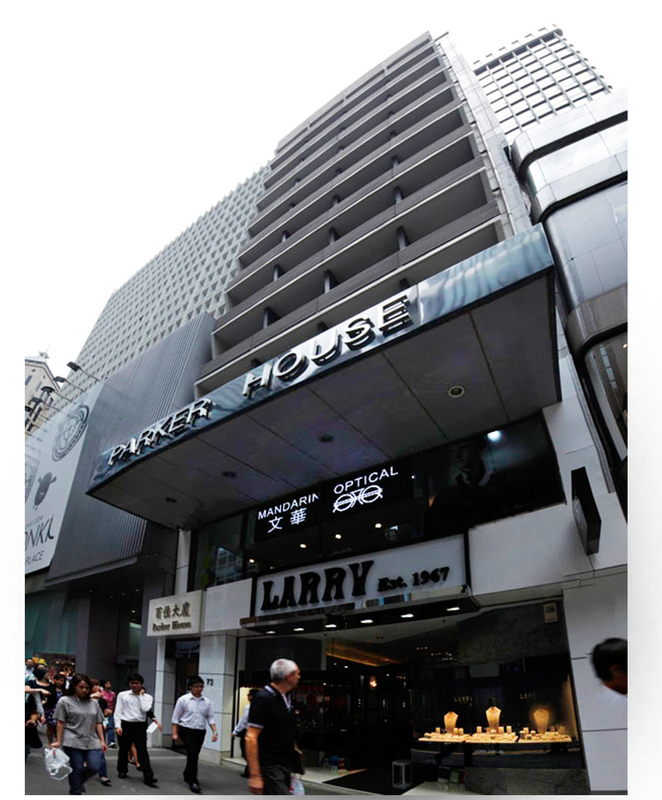 Pacific House,Man Hing Hong's second commercial building in core Central,located at 20 Queen's Road,was completed. 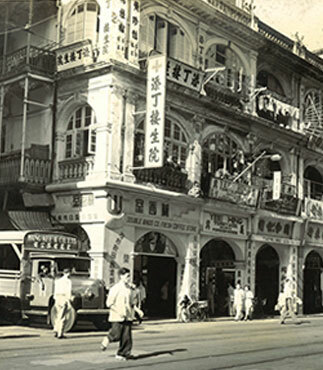 The leasing campaign for the Group’s first residential building, Tsai On Building (now known as Harmony Mansion) on Hennessy Road in Wanchai, was launched. 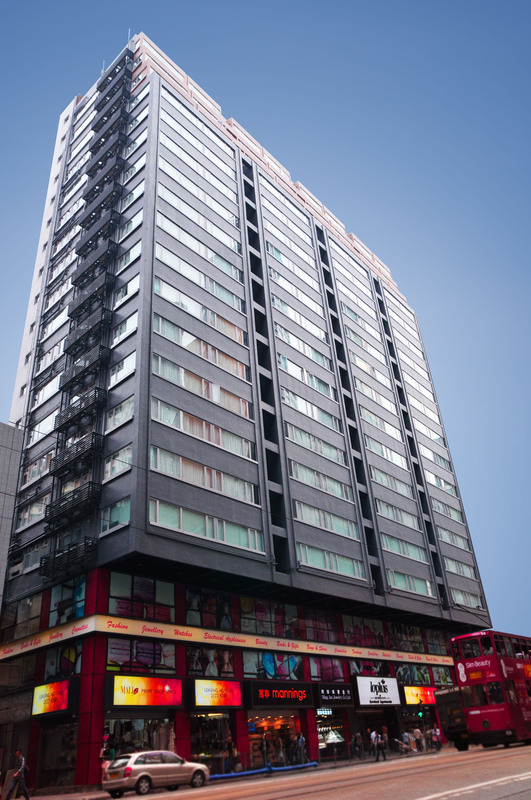 Completion of Luard on the Park in Wanchai, Man Hing Hong’s second residential building and Prosperous Building in Central, the company’s third commercial building. Harmony Mansion was renovated with some units converted into serviced apartments. 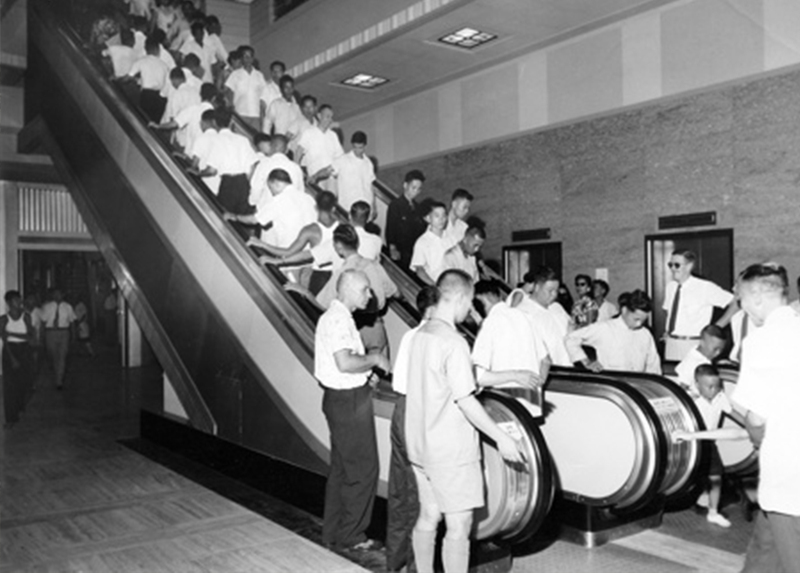 This marked the beginning of the Group’s serviced apartment business. 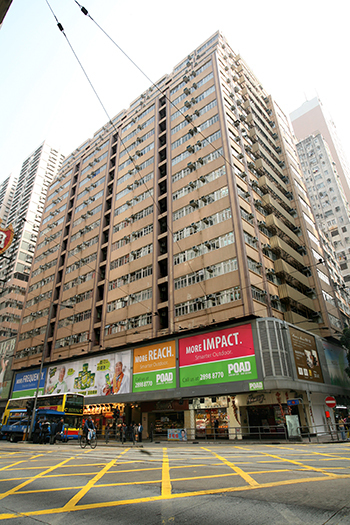 Man Hing Hong’s second serviced apartment building was launched after renovation of 5 Luard Road in Wanchai.